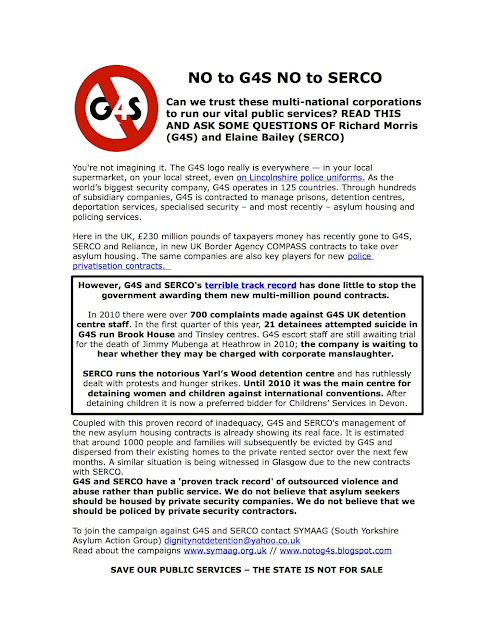 We're planning to assemble outside the Liberty Building (University of Leeds Law School - see map) at 8.30am on Wednesday morning, just to make sure that the less favourable facts about G4S and SERCO are made known. We need to make sure these multi-national security companies know that even though governments may not scrutinise their conduct, we will hold them to account for their actions. 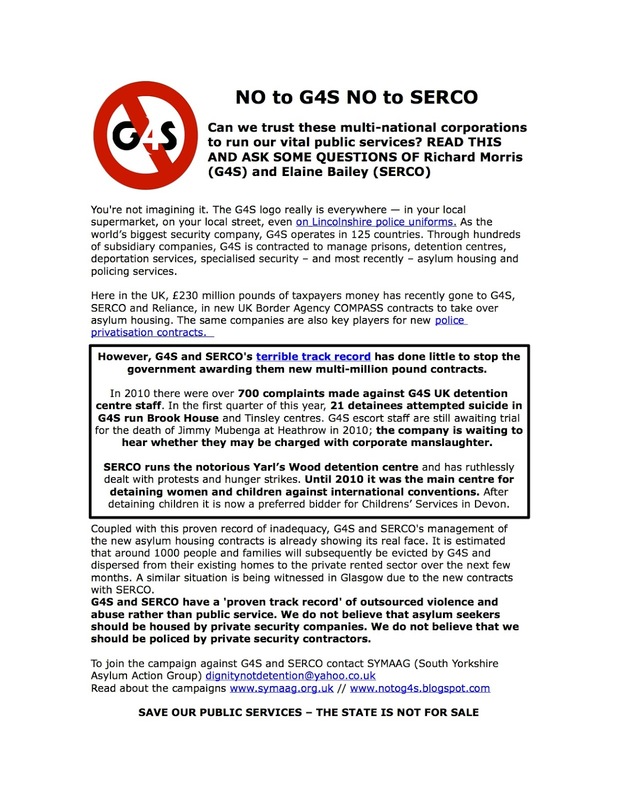 We do not want profiteering security contractors housing asylum seekers in the UK. We do not want private security guards masquerading as police officers. The state is not for sale.